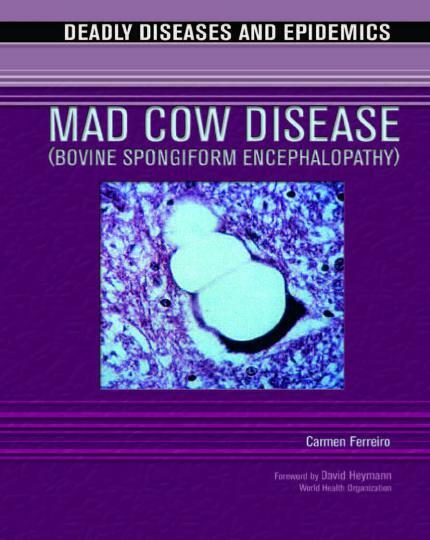 Mad Cow Disease (Bovine Spongiform Encephalopathy), In the 1960s, many of the infectious diseases that had terrorized generations were tamed. After a century of advances, the leading killers of Americans both young and old were being prevented with new vaccines or cured with new medicines. The risk of death from pneumonia, tuberculosis (TB), meningitis, influenza, whooping cough, and diphtheria declined dramatically. New vaccines lifted the fear that summer would bring polio, and a global campaign was on the verge of eradicating smallpox worldwide. New pesticides like DDT cleared mosquitoes from homes and fields, thus reducing the incidence of malaria, which was present in the southern United States and which remains a leading killer of children worldwide. New technologies produced safe drinking water and removed the risk of cholera and other water-borne diseases. Science seemed unstoppable. Disease seemed destined to all but disappear. But the euphoria of the 1960s has evaporated. The microbes fought back. Those causing diseases like TB and malaria evolved resistance to cheap and effective drugs. The mosquito developed the ability to defuse pesticides. New diseases emerged, including AIDS, Legionnaires, and Lyme disease. And diseases which had not been seen in decades re-emerged, as the hantavirus did in the Navajo Nation in 1993. Technology itself actually created new health risks. The global transportation network, for example, meant that diseases like West Nile virus could spread beyond isolated regions and quickly become global threats. Even modern public health protections sometimes failed, as they did in 1993 in Milwaukee, Wisconsin, resulting in 400,000 cases of the digestive system illness cryptosporidiosis. And, more recently, the threat from smallpox, a disease believed to be completely eradicated, has returned along with other potential bioterrorism weapons such as anthrax.